Borrowing a few feet from an adjacent powder room worked wonders to visually expand this small kitchen. The extended shared wall creates a discrete alcove for cookbooks and pantry shelves behind the doorway. The tiniest gestures help make a great overall impression. 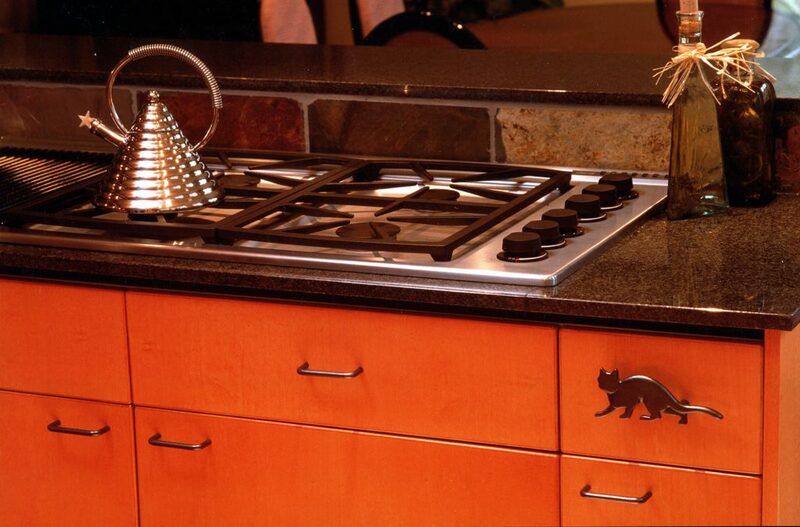 A cat drawer pull adds a whimsical touch. 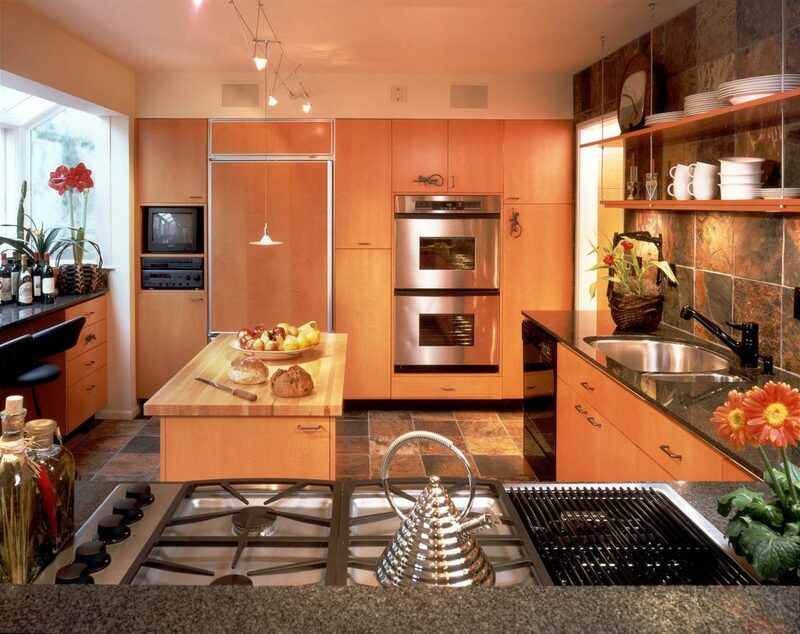 To open up the view, we replaced the dining room partition with a peninsula, where a continuous-grate cooktop eliminates the need for a separate indoor grill. 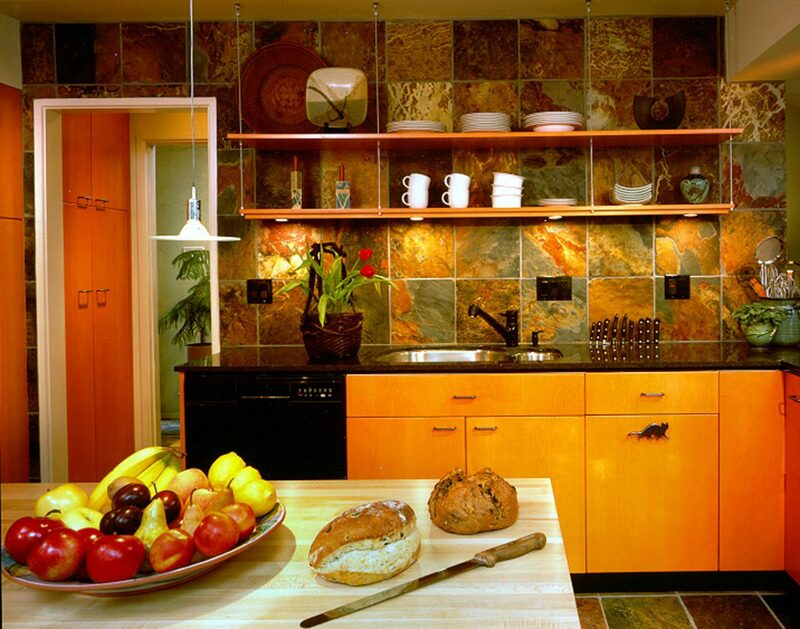 The far wall holds double ovens and floor-to-ceiling cabinets, creating a single clean plane.